Gives gloss, smooth, hard, durable surface. High Wash ability resistance (soap and water). Surface must be clean, free from oil, grease, dirt.. etc. Absorbent substrates should be moistened with Alwaha sealer before putty. 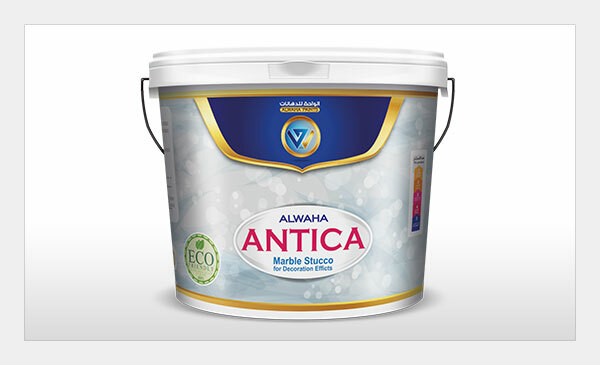 The use of a sealer Alwaha after puttying and before painting is recommended in order to increase spreading rate of finish paint. When the surface becomes tack free, rub with smooth edge of the trowel at very low angle to flatten the surface and marble finish effects.